Click on pictures to enlarge.Text in italic is extracted from the Exhibition Guide 2007. By Jean-Michel Patard, Le Havre, Normandy, France. Sambin is a very small station in the Loir-et-Cher Département set in the period between 1900 and 1934. The railway was one of the steam tramways of Loir et Cher and the layout has been based on the 38km line between Blois to Montrichard opened in 1900. By John Thorne, Verwood, Dorset. "At the top of Scrubbs Lane lies the yard ofEbenezer Figgis - Agricultural Extrusions - Nerdling - Sussex. Ebenezer established his business at the turn of the century and soon laid a 2ft railway to connectwith the LBSC at Nerdling. Here all forms of agricultural goods are transshipped at themain line and taken to the yard for distribution. In return Ebenezer has the contract to export Nerdling's world famous export - forced rhubarb. The line ran past the local Maltings and one evening over a glass of port Josiah Bullock the owner of the Maltings approached Ebenezer whether he would lay a siding into hisMaltings and also down to the local quay to unload and transport goods. A deal was concluded and the line laid. 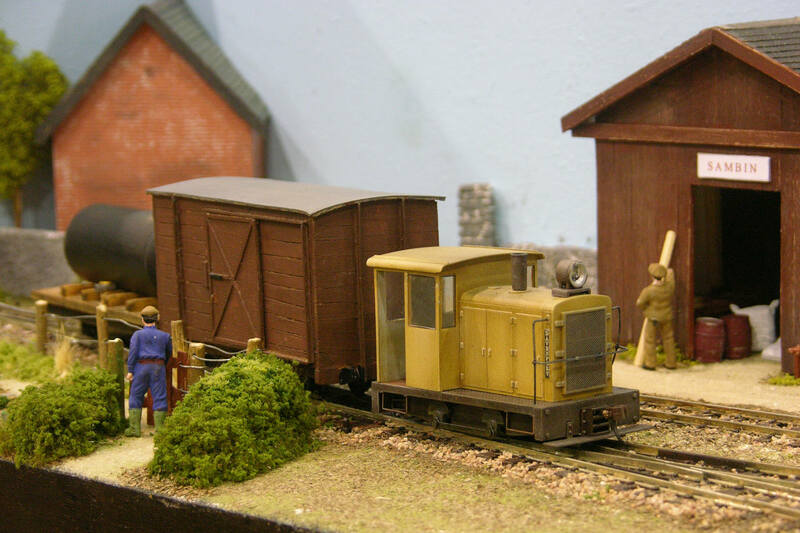 The layout is entirely operated by a wide range of small industrial diesels, no steamlocos or regular passenger services. 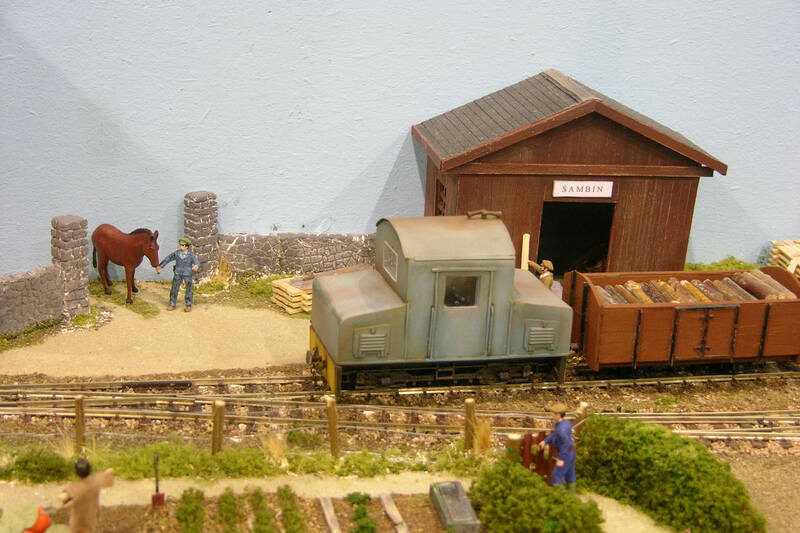 The layout is operated by members of the Surrey Narrow Gauge Modellers. Check ourwebsite www.narrowminded.org.uk. By Mark Henshaw, Poynton, Cheshire. The layout represents scenes and structures found along the Devon and Somerset railways route from Norton Fitzwarren junction to Barnstaple Victoria road. It was a single line route with station including passing loop, kickback siding, goods yard with head Shunt, mineral branch and private Siding. The "Long Line" was closed during Oct. 1966. The model being built between July 2004 and Sept. 2006, with further detailing work expected to be complete by autumn 2007. It is a dog bone shaped run round layout with the operators standing behind and at both ends, with fiddle yards to the rear of either end. 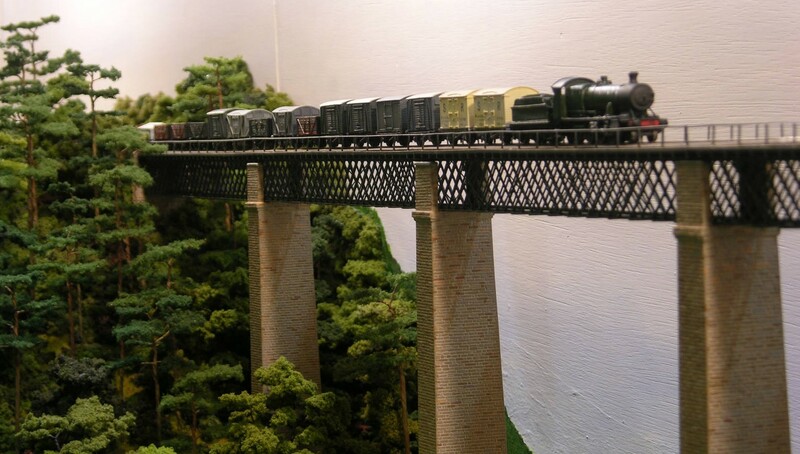 The scenic section is 30ft long x 1ft deep and includes a 5ft long viaduct, scratch built buildings, working signals, automated shunting. Prototype trains pass slowly across the front through large forested areas bordering open rolling scenery. Castle Hill can be operated over several periods: GWR c1930's, GWR c1940's wartime theme or BR Western region cl960's. The running period is normally fixed over the whole exhibition. By Dale Gillard, Moulton, Northampton. The layout represents a small branchline link to serve the village of Hampton End. Most of the freight on the line was fish from the quayside. After closure of the line many years ago a group of local enthusiasts re-instated the trackwork and restored the buildings. A few foreign engines and rolling stock were purchase Most weekend’s trains can once again be seen running. The buildings are from BR days. The international flair work well with the tourists. By Brian & Ann Silby, Wellingborough. Lindtzal a small imaginary location on the Swiss/German border has a secondary railway running through it. The line sees local passenger train and also a small amount of freight. The passenger trains are usually in the hands of DB class 111 locomotives whilst the freight are hauled by DB class 150/151 locomotives. 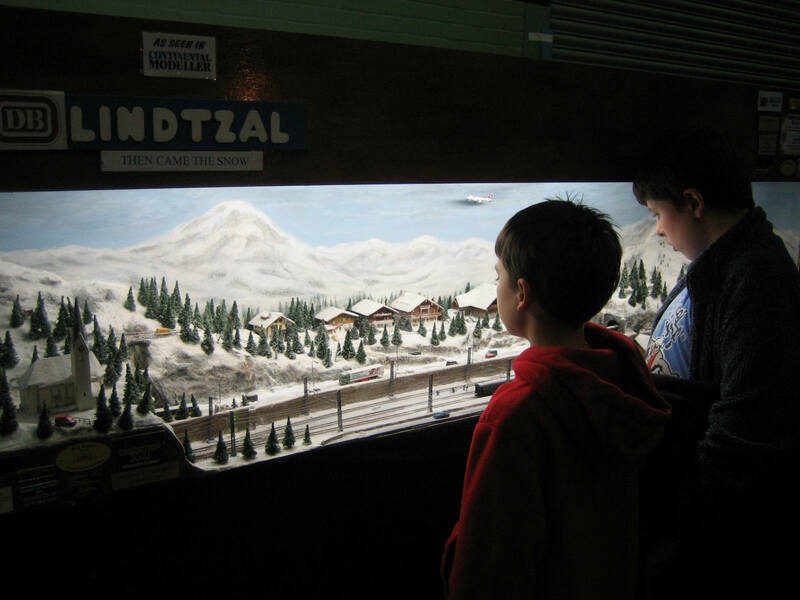 During the night of February 11th 2005 there was a heavy fall of snow that transformed the whole scene Constructed originally as a summer layout in 2001 Lindtzal amassed some 30 shows to its credit after which the decision to scrap it or alter the time of the year was taken. The latter was chosen and it had its first outing at Sheredes School Hoddesdon exhibition in July 2005 in its new guise. (Left) By Davie & Rene Lear, Warminster, Wiltshire. George Street is a U shape layout constructed on seven boards, each board measures 411 x 2ft, three boards at the front and back and one at the side. 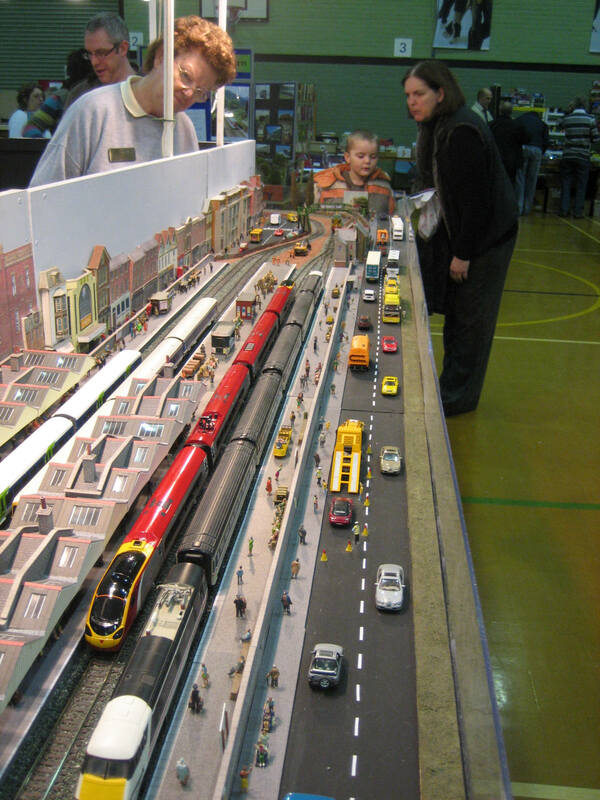 The main feature of this layout is the busy 8ft long mainline station with three platforms. The town is very busy and around the comer there are more shops with a fire station and a bus depot, with a canal running along side the main line. 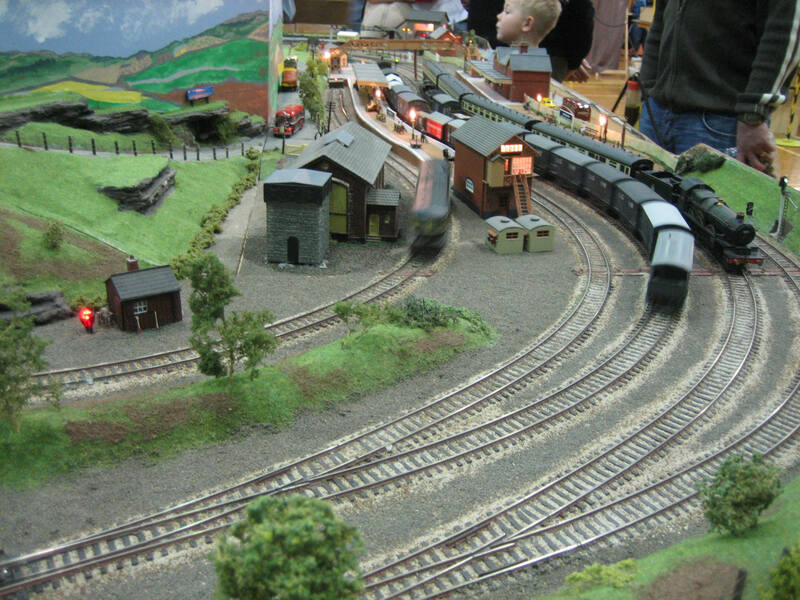 (Right) By Andy Jones, Burnham & District MRC. Set in the Great Western Railway heyday of the late nineteen twenties and early thirties and extending to the end of British Rail Western Region Steam in the sixties, with the occasional early diesel hauled train being seen. Trains from L.M.S. L.N.E.R and Southern Railway visit at holiday times. A busy main line double track station with two through tracks (Passing loops) and a branch line with a shuttle service to Canalside (Fiddle yard), serves the town. Canal siding with wharfs, warehouses and bustling ancillary workshops is reached from the main line. (Left) By Trevor Nunn, Witney, Oxon. 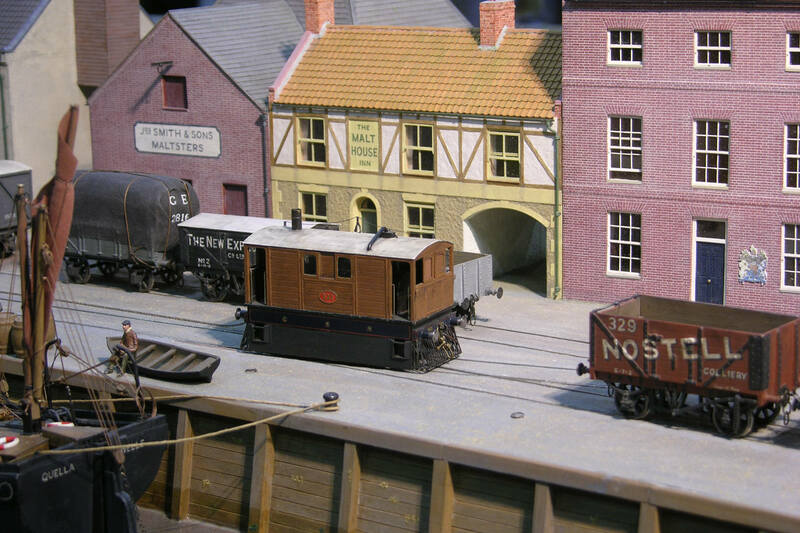 East Lynn is an imaginary small town and seaport somewhere in NorthWest Norfolk served by the Great Eastern Railway. Principal trains head south, departing over the single line swing bridge towards a junction some distance away with the main line to London. A branch line heads eastwards across the county and provides a connection to the local gasworks. The Midland and Great Northern Joint Railway has running powers over the branch giving it access to East Lynn. The scene is set in 1903 at a time when the railways were the principal means of transport. Passenger trains consist almost entirely of six-wheeled coaches. Goods traffic is mainly coal and general merchandise coming in, with agricultural produce and livestock going out. In addition there is a quayside that handles coal, fish and imported timber, all ofwhich are carried by the railway. The granary siding andwagon turntables are shunted by chain. 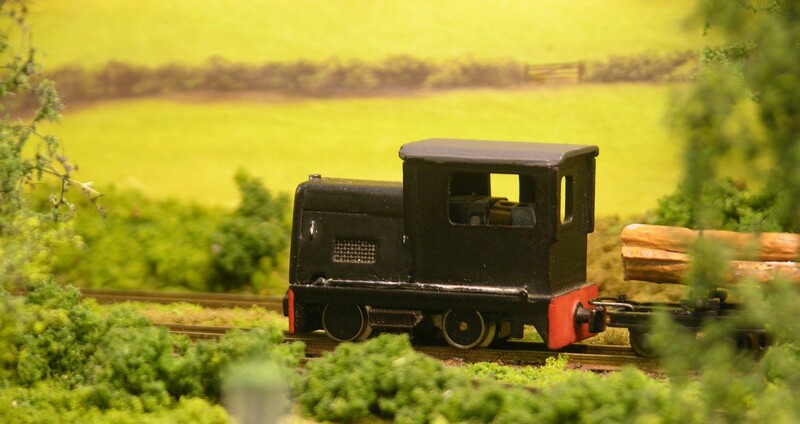 There are no ready to run models available for British S scale. 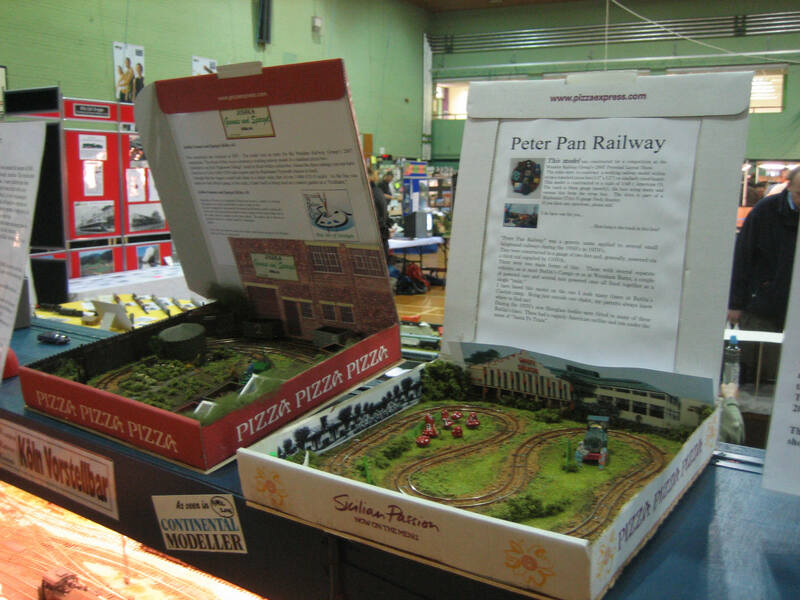 All the locomotives, rolling stock, track and buildings have been hand built. On most buildings the bricks are individually hand painted. True scale standards are used for the track and wheels. All vehicles have compensated or sprung suspensions and all locomotives are fitted with flywheels. Baseboards are constructed from 4 mm plywood. Signals and points are operated from a mechanical lever frame by means of cranks and rods under the baseboards. Cab control is used for the section switching and electronic feedback controllers are used to give precise control. 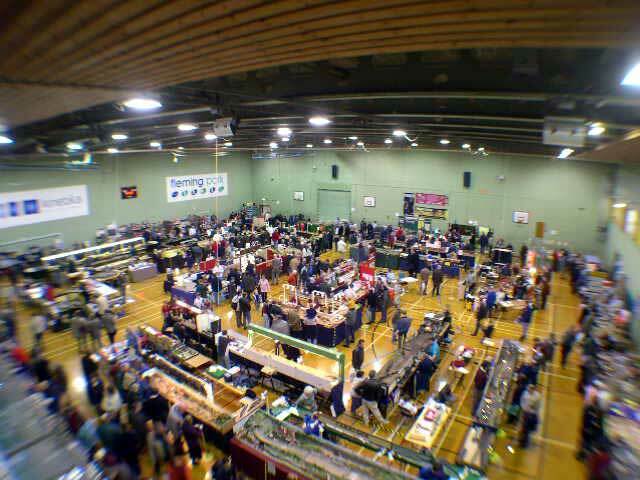 If you would like to know more about the layout, the scale or the S Scale Model Railway Society, please ask the operators, they will be only too pleased to help. 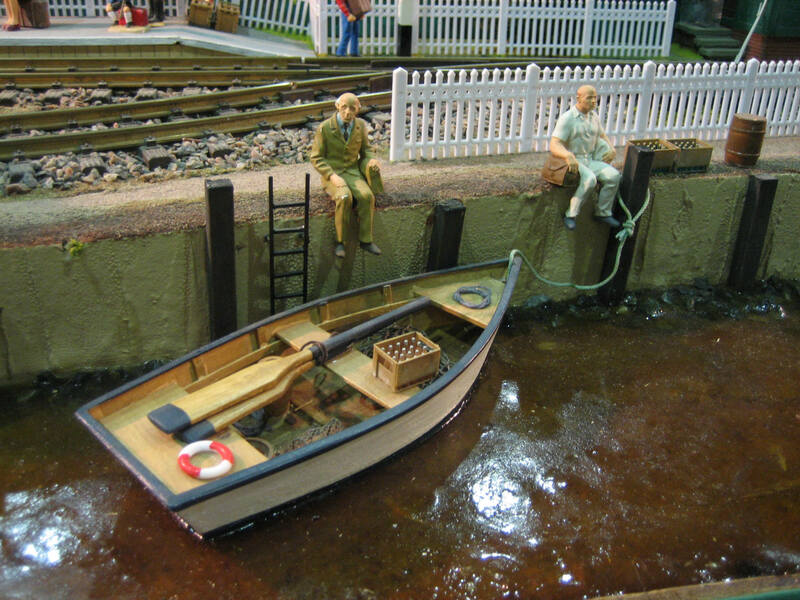 There is a society Website at: www.s-scale.org.uk. (Right) By Pontypridd Model Railway Club, Pontypridd, Glamorgan. This is a fictitious location somewhere in Northern State of the USA. 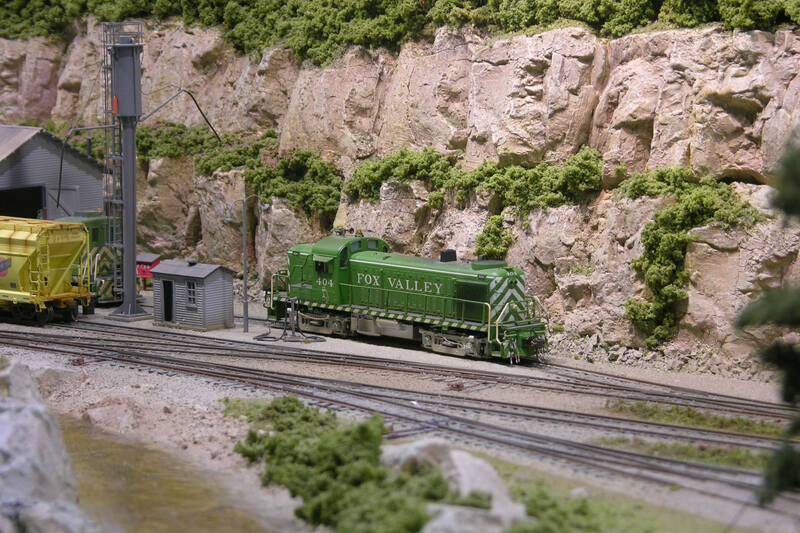 The model represents a mining operation loading facility for Railroad bound loads to its customers. Empty trains are brought in by the road engine and are separated by the mine switcher for loading under the hopper building. The sequence requires the train to arrive with a caboose at the end of the train, and also has to depart in the same manner. The caboose and hoppers separated, the hoppers being placed on the Centre road of the mine and loading begins. The train is then reformed; caboose at the rear and the road engine then pulls the train away onto the main line. By Ian Buck, Redhill, Surrey. During the 1980s the Portuguese railways still operated much the same as they always had. Short locomotive hauled trains pulled by a varied fleet of diesels, hand signalling and pick goods trains with stations with “full facilities” being the norm. Praia Grande is at the end of an imaginary branch from Tunes on the Algarve Coast line and tries to replicate this scene. Because of the scarce availability of items nearly everything is scratchbuilt or heavily modified. The observant will notice one compromise, the track gauge is standard 16.5mm when it really should be 19mm –perhaps one day!! 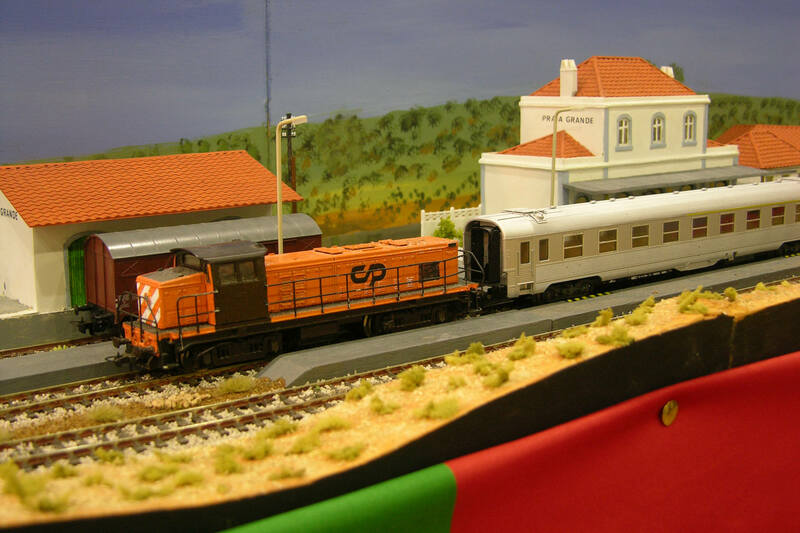 So just imagine that it is a quiet, hot summer’s day in the Algarve relax and enjoy the trains. By Derek Gillkerson, Hedge End, Southampton. 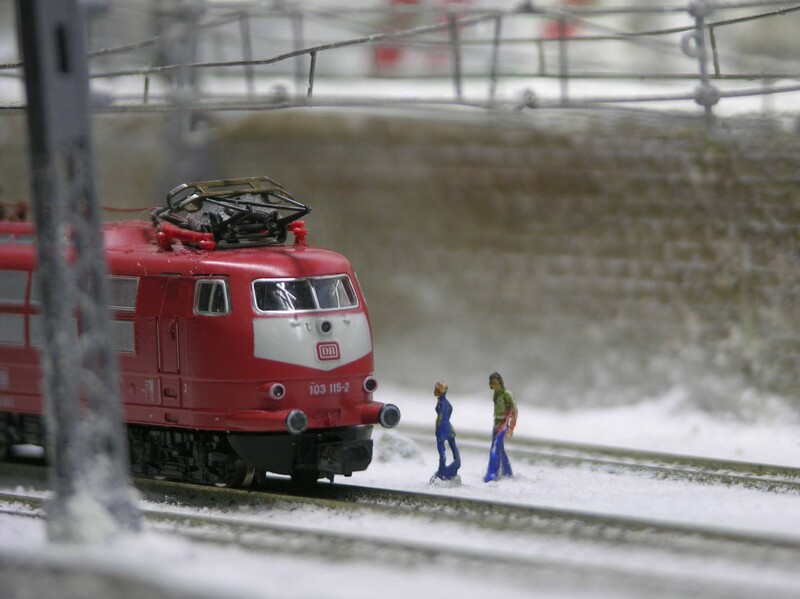 Track and points are PECO code 75 finescale, scenic materials are by Noch, Faller, people by Preiser, Depot by Modern Structures in Miniature, buildings by various German Manufacturers, Bodenmais station building was my first attempt at Scratchbuilding! (Thanks to George Gibbins of the Southampton Model Railway Society for supplying a drawing of the station from my photographs). The three boards are as follows:- ZWIESE” this is Zwiesel station and surrounding area. DEPOT & TUNNEL This is the area of Maintenance Depot, Fuelling, Cleaning. Also on this board is the branch line through the tunnel to the town of Grafenau. There is not enough room on layout to accommodate Grafenau Station, another reason is that I only visited this Station once on a cold damp morning, did not get off the train, as it was a five minute turn round to Zwiesel. 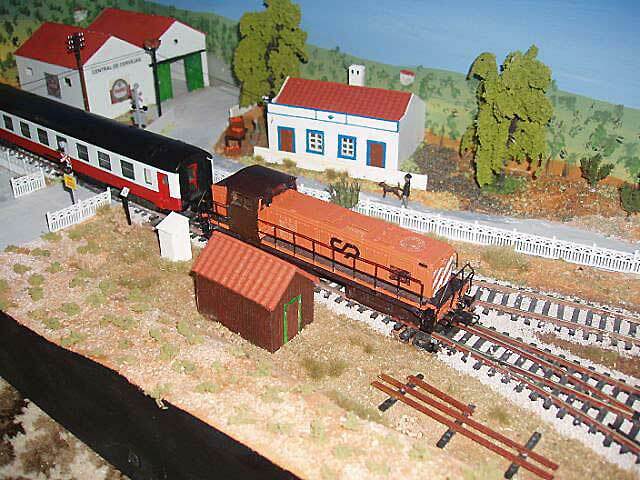 Unable to get photographs of the Station buildings etc.. BODENMAIS. This is the end of the branch line from Zwiesel, have tried to capture the area of this beautiful station, all be it with a degree of “Modeller’s licence”, would really need the whole layout to do it justice! ZWIESBODEN is from the two towns, namely: ZWIESel and BODENmais, both towns are in Eastern Bavaria. ZWIESEL is the Junction Station for the lines from Grafenau, Bodenmais, and Plattling, through Zwiesel to Bayerisch Eisenstein. It is also the junction Station for onward travel into the Czech Republic and the DMU’s now travel from Plattling through Zwiesel as far as SPICAK. This service started in 2006 following the Czech Republic’s membership of the EU. 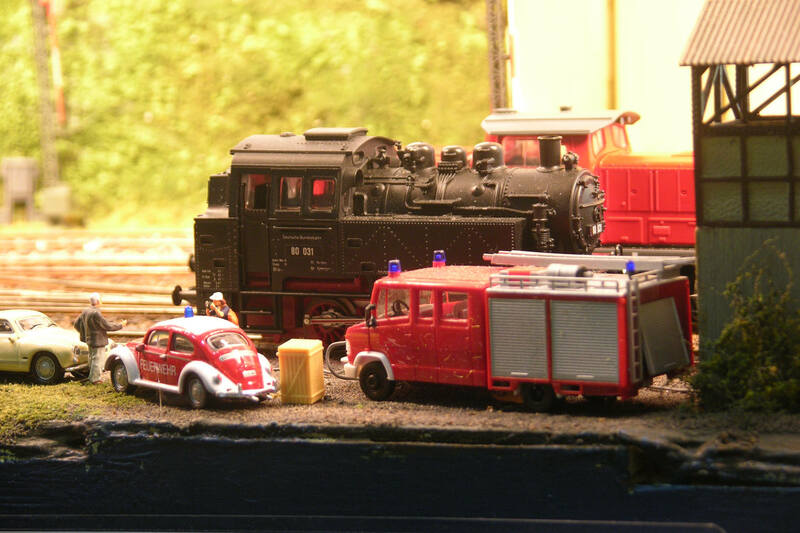 The diesel units used on the layout are manufactured by BEMO. There are three different liveries on the DMU’s. Earliest livery is the WALDBAHN Grey/ Green. Latest Livery is the WALDBAHN Green/Yellow. 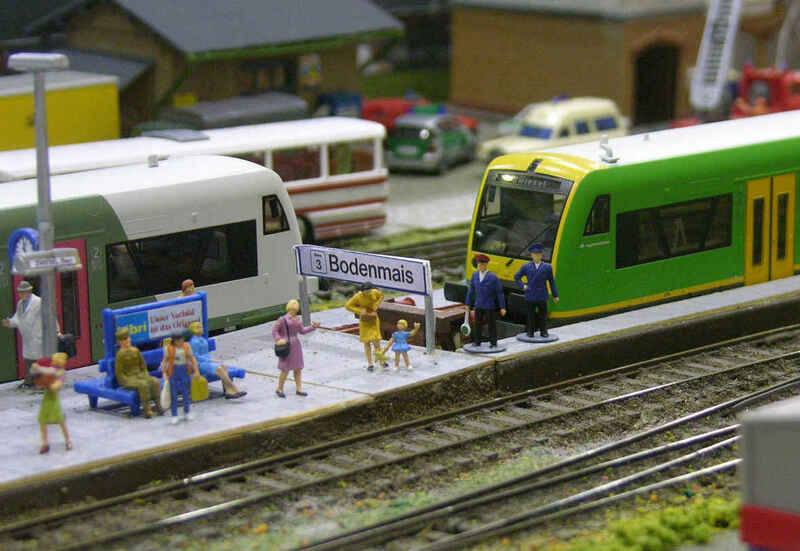 The Yellow/Green livery is a unit from the OBERPFALZBAHN line, which goes from LAM to CHAM via Bad Kotzting. This unit is used as I have been unable to procure any of the WALDBAHN units. 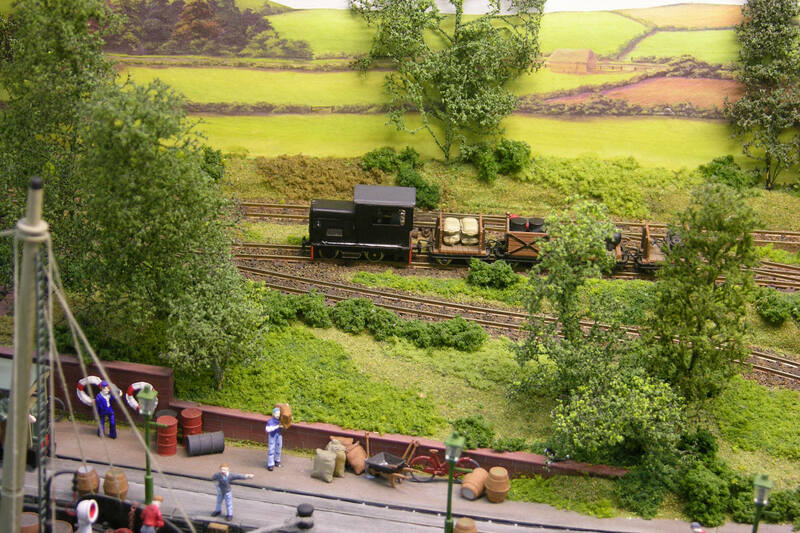 Thanks to the following Modellers for their help and advice with this layout: Ron Boreham (Electrics), David O’Meara (Scenics/Backscenes) and George Gibbins (Bodenmais Station Building). By Andrew Knights, Steyning, West Sussex. It is the Summer Holiday season in this outermost part of Köln. The branch line from the city centre still carries 218 diesels, "Silver Fish" coaches and 628 DMU's. The new station has rather basic facilities. DBAG having provided one of the new "Plus Punkt" structures. The station layout has been modernised, cut back and rationalised. The once busy junction now is only a transfer facility to a Lokalbahn operator. All through services having gone, along with most of the platform! All is not lost. Being Summer, a local "Eisenbahnfruende Gruppe" operate a passenger service. This is mostly steam hauled, one of the locomotives waiting in the old coaling road for return. The fire brigade are topping up waiting engines. Alongside there is a VW The main operation is still in business and the swapping of freight wagons DBAG and the Lokalbahn. Freight operation uses my normal card system. One car. These are shuffled and dealt out. The twist this time is that the cards determine order of wagons in the trains shown in the fiddle yard. The station has only interchange sidings, the goods facilities having gone with the main part of the station. If you have any questions about the layout do please ask the operator. 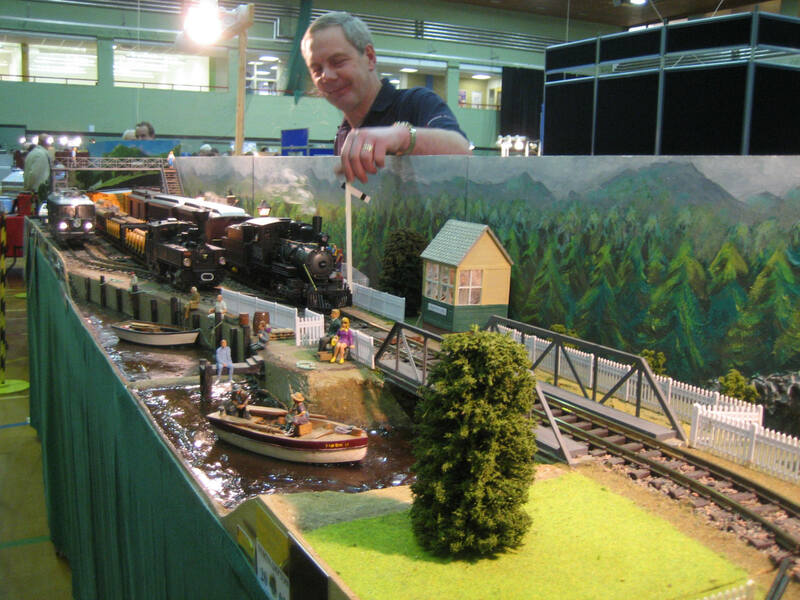 (Right) Demonstration by Tim Scott, Itchen Valley Model Railway Club. 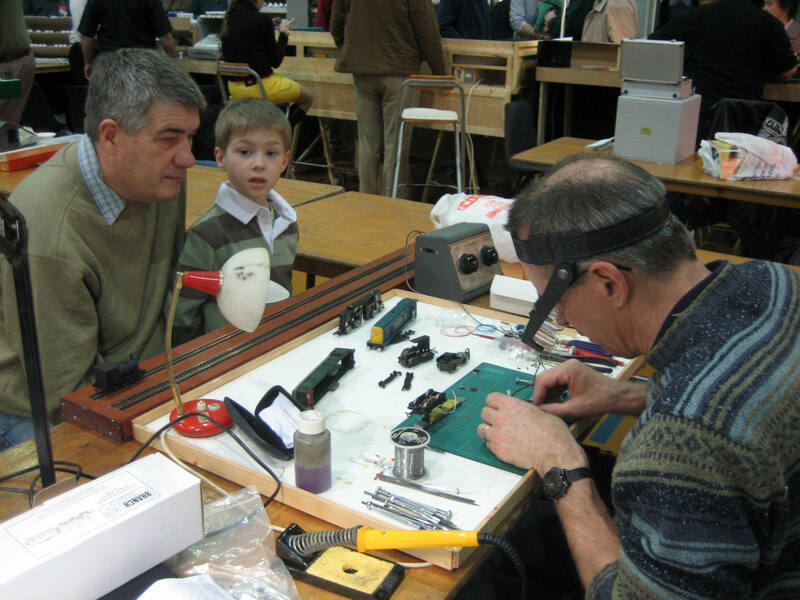 Mark Lancaster and Tim Scott busy kitbuilding, but do interrupt them for a chat about model railways. Text and pictures copyright ©2007 by Ian How and respective Exhibition Guide writeups authors. Web Hosting and page layout by Frédéric Delaitre.